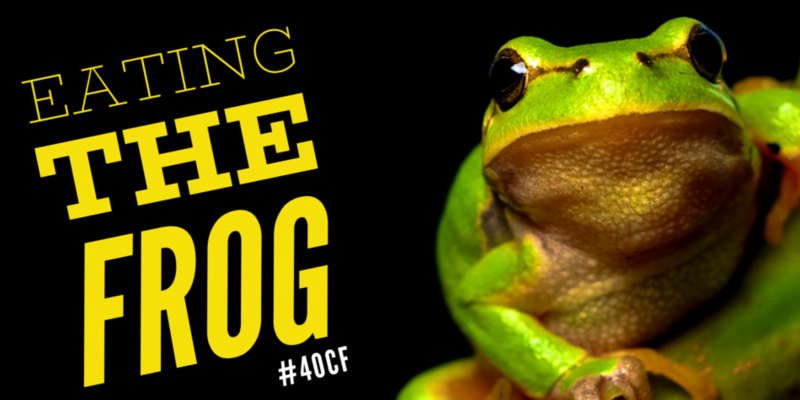 I was recently at a training program with other Principals, and one talked about eating the frog, getting it over with, and moving on with your day. I couldn’t agree more. I recently had to have a conversation that I felt was hanging over my head. I was dreading it. I couldn’t sleep the night before. When I had the conversation first thing in the morning, it was done, and it actually went much better than I thought. I was able to focus my energy in other areas for the rest of the day, instead of focusing on the frog. So next time it’s hanging over your head, make sure to eat the frog first.